As diverse as the U.S. Latino community, so, too, are the recipes for sofrito. Whether you are from Cuba, Mexico or Colombia, every country and region has its own version of sofrito, one of the basic flavor foundations for many traditional Latin dishes. And, if you ask anyone from those countries about who has the best sofrito, well, you know the answer. 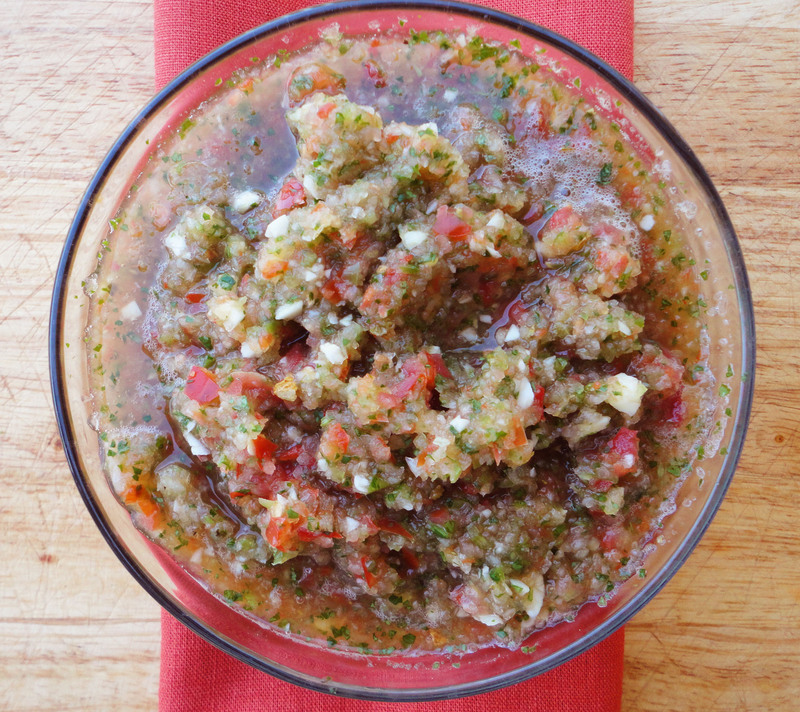 Sofrito is like the mirepoix of French cooking. Simple and easy, sofrito consists of sautéing diced garlic, vegetables and spices/herbs in olive oil on medium to high heat and used to season certain dishes. You know your sofrito is done when your entire kitchen is overwhelmed by the beautiful aroma of garlic and onions. I loved freezing my sofrito in ice cube trays overnight and then storing them in zip lock freezer bags. Any time I needed to add a little flavor to frijoles, Mexican rice, soups, I just popped a few of those flavor cubes into the pot. So simple and easy. Chop the onion and green bell pepper in the work bowl of a food processor until coarsely chopped. With the motor running, add the remaining ingredients one at a time and process until smooth. Place oil in a skillet and turn heat to medium/high. Add the mixture. Sauté for about 5 minutes. Remove from heat. The sofrito will keep in the refrigerator for up to 3 days. Like I mentioned earlier, it also freezes beautifully. Just pour the mixture into ice trays and leave overnight. Remove the sofrito cubes and place in sealable plastic bags. The sofrito cubes will add beautiful flavor to a number of dishes, including beans, rice, meats, and soups. Please note that we did not add salt to the sofrito. We’ll let your taste buds decide if your dish needs more.